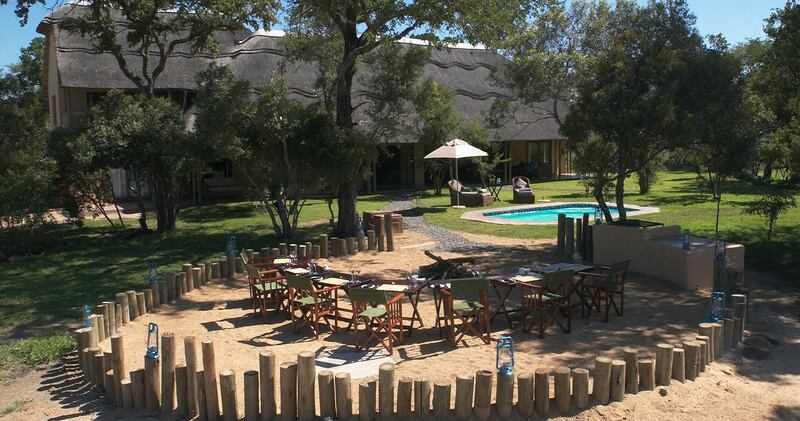 The Manor house is situated within the Tintswalo Concession, a mere five minute drive from the main Safari Lodge. Tintswalo Manor House is ideal for families and small groups: it accommodates a minimum of six guests and a maximum of ten guests. 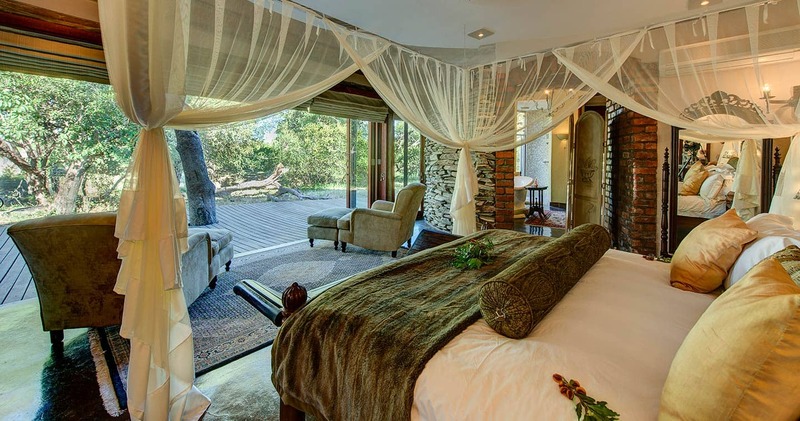 The house has four en suite bedrooms and one children's room, a private boma and private swimming pool. The magnificent Manor House offers an intimate four-star family holiday haven, located along the banks of the seasonal Nwaswitsontso River. Unique in its design, the Manor House provides ideal shared ‘holiday home’ style accommodation for up to 10 guests. This splendid setting provides supreme comfort, privacy, and an opportunity for effortless birding, as well as the chance to view a large variety of big game that frequents the watering hole in front of Manor House. The Manor House staff is on call to meet your needs, and a safari vehicle, guide, and tracker are allocated exclusively to you for the duration of your stay. 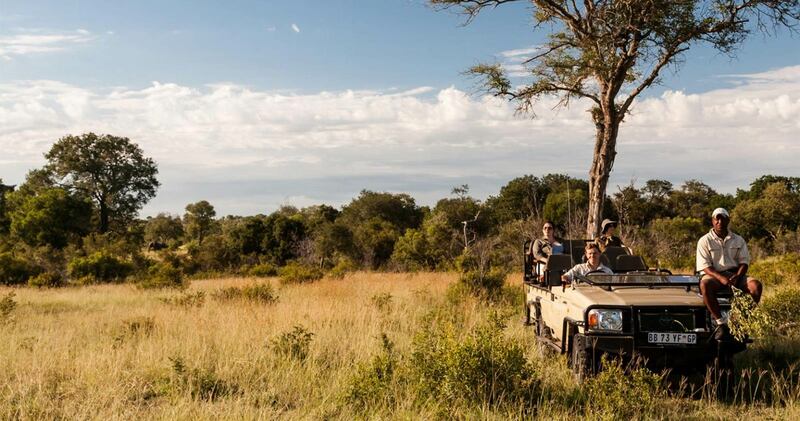 Game viewing at Tintswalo takes place on foot or in individually seated open game vehicles. The vehicles are fully equipped with spotlights for night viewing, radios for communication, mosquito repellent, ponchos for wet weather, and individual blankets to keep guests cosy if nights turn chilly. Guests are ensured to enjoy a truly five-star wildlife-viewing experience at Tintswalo Manor House by placing a canvas ‘goody’ bag containing binoculars, reference books, and treats on each seat for their use before the drive begins. Walks in the reserve are guided through the ever-changing environment of the African bush. This experience allows you the opportunity to come away with information on local wildlife, and insight into the local Shangaan traditions. All of our experienced and professional guides are fully accredited, and are always accompanied by skilled trackers who know their surroundings well. 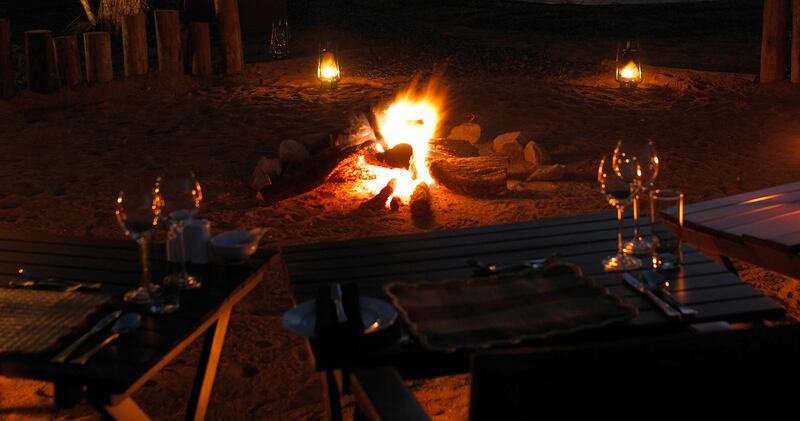 Afternoon game-viewing is followed by a sunset sun-downer stop, and your day is perfectly rounded off with a magnificent candlelit dinner. We stayed with another family in Tintswalo Manor House. It sleeps a maximum of 10 and we had 9 in our group. ... The home was comfortable, and the sleeping arrangements worked perfectly. The staff quickly let you know the schedule and you do adapt quickly rising at 5:00 a.m. for your morning drive (3.5 hours) and an afternoon drive (3.5 hours) at 4:00 p.m. Not much time to sleep at night, but that is not what you are there to do. Our group was lucky and saw the big five plus the wild dogs (twice) which is rare. Animals sightings were so plentiful--AMAZING! The accommodations at the Manor House are 4-star and perfect for families. The food is plentiful and the service excellent. The watering hole directly in front of the house was a very popular spot for buffalo, elephant and waterbuck...and we also had visits from a lion and a leopard. 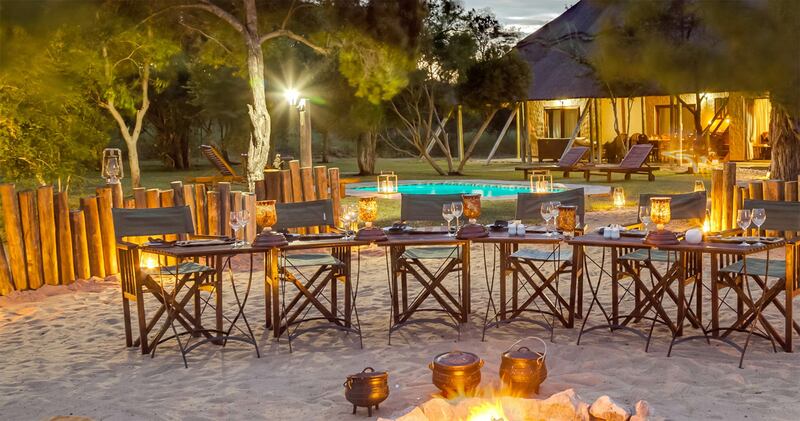 For those looking for more luxury, the nearby Tintswalo Lodge has 5-star accommodations. 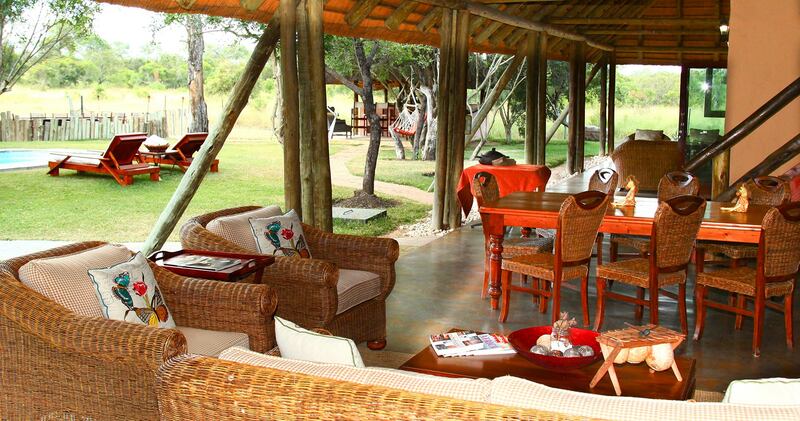 Tintswalo Manor House accommodates a minimum of six guests in a private setting: ideal for families and small groups. Rates are for the Manor House per night (10 guests). Read all about travelling to Tintswalo Manor House on our getting to Manyeleti page. Tintswalo Manor House welcomes children of all ages. Infants under two years are not permitted on game drives. Children over 2 years may participate in special children's game drives with their families, arrangements for these may be discussed with the Tintswalo Field Guide at the Lodge. A babysitting service provided by the staff is available, rates are available upon request. Advance bookings for babysitting are essential. A special Children's Program is available at additional cost; more details about the Program are available upon request. We hope you have found all information needed to decide that Tintswalo Manor House in the Manyeleti Game Reserve is the perfect place for your next travel adventure. Please fill in the contact form and we will get back to you soon!